Mountain goats are known for their amazing ability to scale the sheerest cliffs and mountainsides, but this tiny cat contender might just give them a run for their money (if they had money, that is). Lalah could very well be a goat in cat's clothing. She definitely shares their sure-footed prowess and can hold her own when it comes to climbing. Now, we all know that cats are good climbers, but this little mewntaineer takes it to a new level. 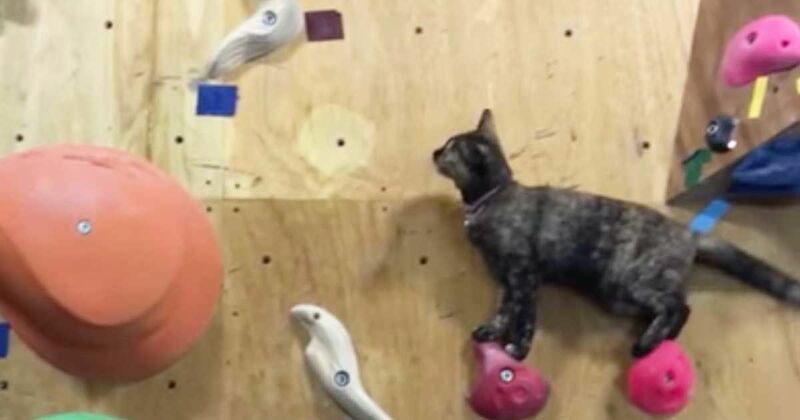 Watch as she effortlessly scales a rock wall (with just a minor slip, but a quick recovery) and takes her seat on high as Queen Climbing Kitty. Be sure to share Lalah's amazing climbing skills with your fellow feline-loving friends.